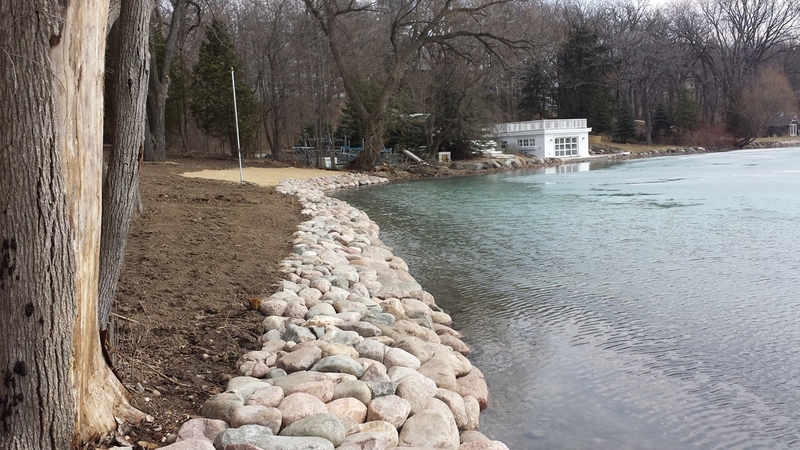 Riprap Shorelines are functional yet a beautiful solution to prevent damaging erosion. 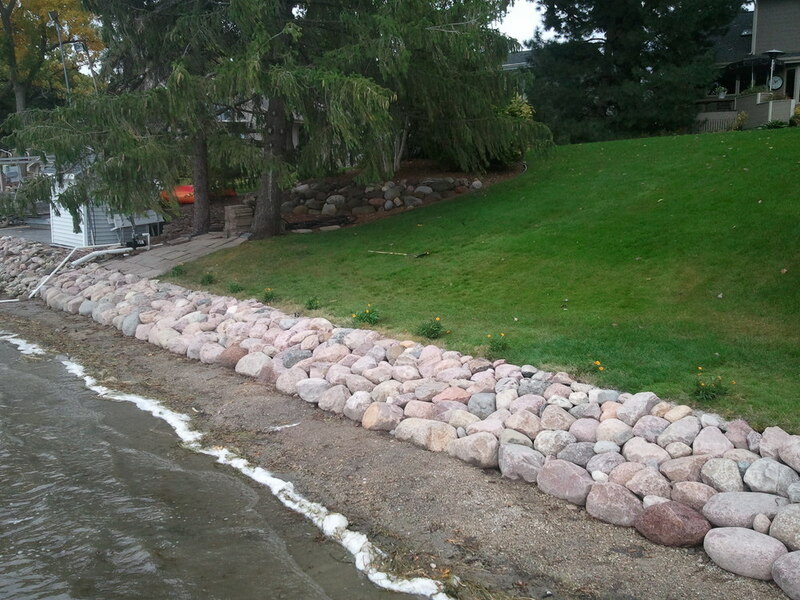 Our shorelines are DNR approved and can be completed by barge which eliminates any lawn damage. In addition, we apply for your DNR permit, which is usually required before construction can begin. This alleviates a lot of cumbersome paperwork for the homeowners.